The final straw came when Microsoft announced that Windows 98 would no longer be supported, and the only options to keep things reasonably safe would be to upgrade to Windows XP (and buy a computer that could run it) or try Linux. I was told about Ubuntu Linux, whose motto was “Linux for human beings”, and gave the then current “Breezy Badger” version a try. Now, it wasn’t a delightful experience, to be honest – very slow, and partly incomprehensible. My computer was still too slow and under-powered. Linux went on the backburner for a year or so till a version called “Xubuntu” – a bit simpler and lighter than regular Ubuntu – turned out to work OK, and Windows was finally left behind. There were some new things to be learned at first, but after about 6 months there came a lightbulb moment when I realized that the system and programmes were on your side! You were no longer struggling to get things to do what you wanted against the aims of some company, the penguin wanted to help you… Now I wouldn’t think of going back to Windows, even if it was free. 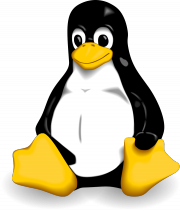 If you’re up for something different and would like to give Linux a try, it has some advantages even for non-geeks: it’s safer – you don’t really need an anti-virus – it’s very easy to install new software, and of course the price is right. Everything’s free as in free beer, and equally important, free as in freedom – no-one’s trying to control what you do with your computer. T, who has trouble using a VTR, does her email and web browsing as if nothing had changed. It’s also possible to install Linux and Windows together on the same computer and choose which you want when you start up. Well, Linux isn’t for everyone, but if you like tinkering you might get caught! I switch between Mint and Bodhi Linux– both set with the Fluxbox window manager (Although sometimes I play with Enlightenment). I also liked reading some of your blogs and viewing your photos. I stay heartbroken about the Sendai quake and Fukashima disaster. It is some reassurance to me however that people like you do not give up because you obviously love Japan. Hi Robert, and thanks for dropping in! Japan will need a long time to recover fully from 3/11, especially the nuclear waste issue which is still not at all sorted out, but although the region hit by the earthquake and tsunami is still devastated and things are very hard for the people who lived there, for the rest of us life goes on more or less as normal. Electricity is going to be a bit short this Winter apparently. It’s still a special country. Hi mykleman, thanks for your comments.